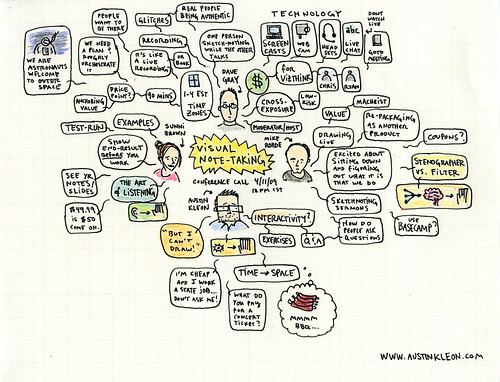 visual note-taking conference call notes, originally uploaded by Austin Kleon. I'm very excited to announce that three of my favorite visual thinkers -- Sunni Brown, Mike Rohde and Austin Kleon -- will be delivering a workshop on visual note-taking on Tuesday, May 12. The image above are some visual notes that Austin Kleon took during one of the conference calls as we planned the workshop. This is a chance to learn from some people who are truly masters at what they do. Your notes and whiteboard scrawls will never be the same! 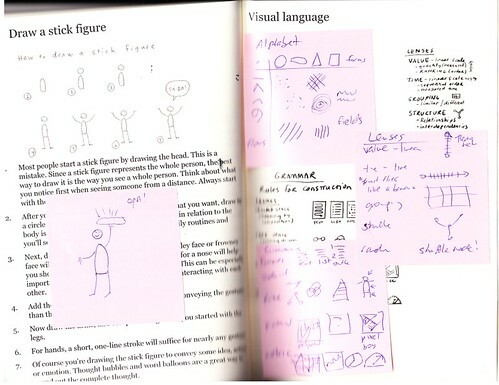 Ever since Leonardo put pen to paper, visual note-taking has been a route to improve the quality of your thinking, make information more memorable, and make your ideas easier to share with others. Read more. 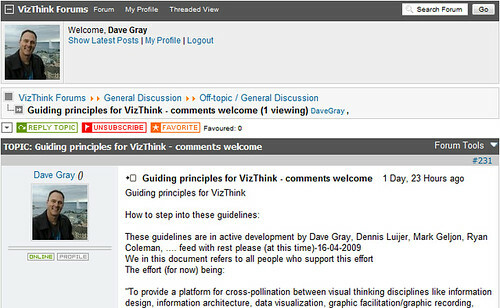 Guiding principles for VizThink, originally uploaded by dgray_xplane. Some of you may have noticed that I have been knocking on a lot of doors lately, asking people to participate in the future of VizThink in one way or another. To try to answer these questions we have created a draft document with the help of some of our members. I have posted the current draft on the VizThink forums, here. There is no charge to participate in the forums, although you must register to post. Thanks in advance for your feedback -- and please, share your thoughts! Marks and Meaning, v. 0.5, originally uploaded by dgray_xplane. 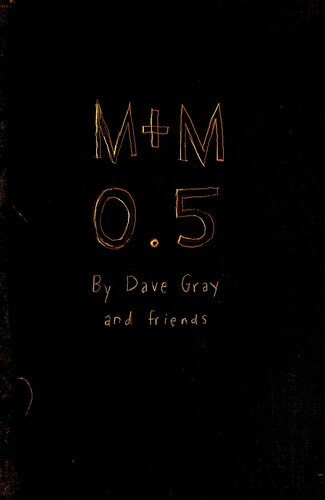 Just released version 0.5 of my unbook, Marks and Meaning. You can buy a copy here. Read the warning label! A beautiful and haunting story about the future of cities by Matt Jones.